Whale Spray Kiddie Pool Just $8.24! Down From $40! You are here: Home / Great Deals / Amazon Deals / Whale Spray Kiddie Pool Just $8.24! Down From $40! 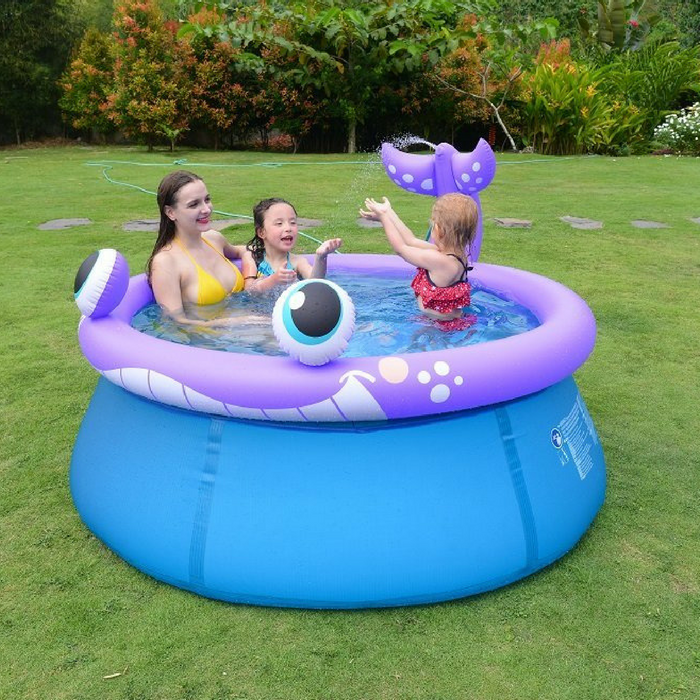 Get this Whale Spray Kiddie Pool at Amazon for just $8.24 down from $39.99 PLUS FREE shipping with Amazon Prime or for orders over $25! The Jilong Whale Spray Kiddie Pool is a great way to keep your kids cool on a hot, summer day. Just attach a garden hose to the built-in sprayer spout for hours of enjoyment. An easy-to-use drain valve will release the pool water when it is time for the fun to end! Kids will love it!